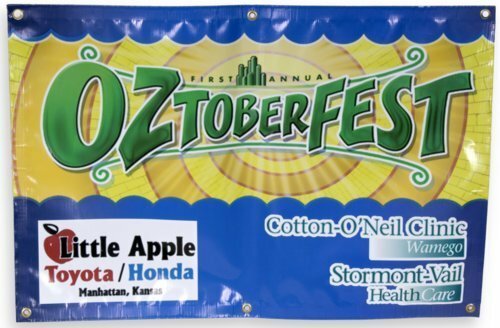 This vinyl banner advertised the first annual Oztoberfest in Wamego, Kansas in 2005. Oztoberfest is an annual community festival sponsored by the Oz Museum in Wamego. The festival celebrates the story of the "Wizard of Oz."